Spare magazine significantly higher than the end of the slide. 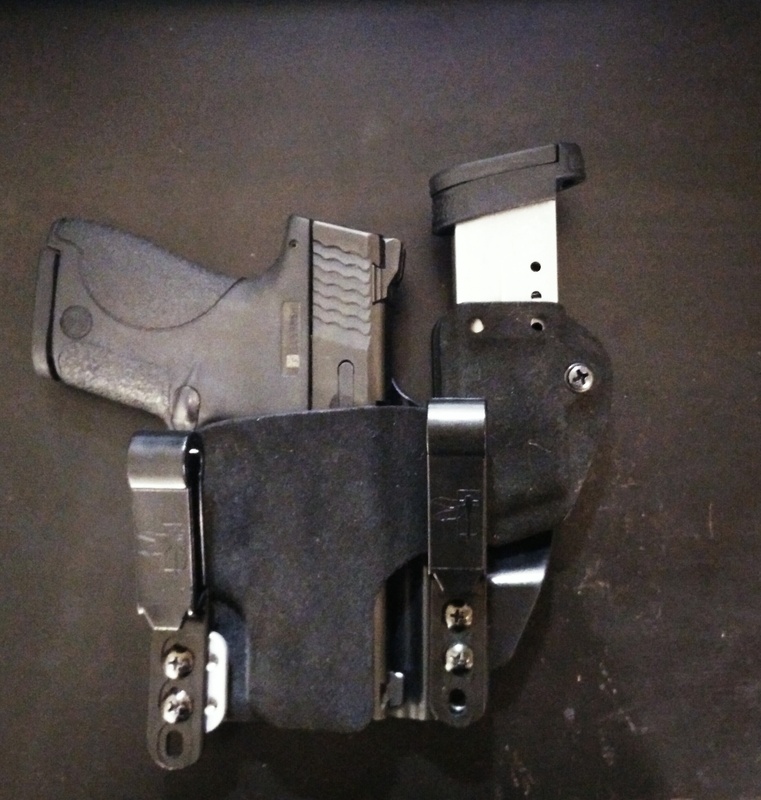 The INCOG mag caddy is a good addition to the INCOG holster for carrying an extra magazine right next to the holster. 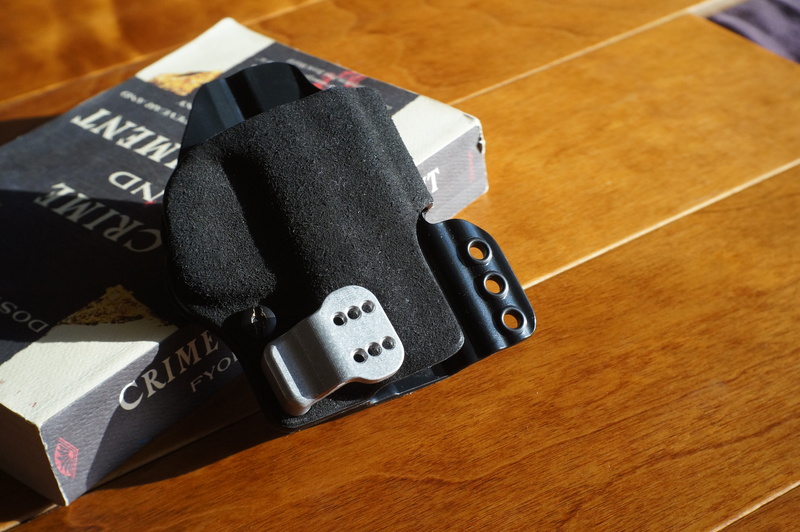 It essentially fills the “gap” that is created between the pant and your waist beside the holster (see image below). 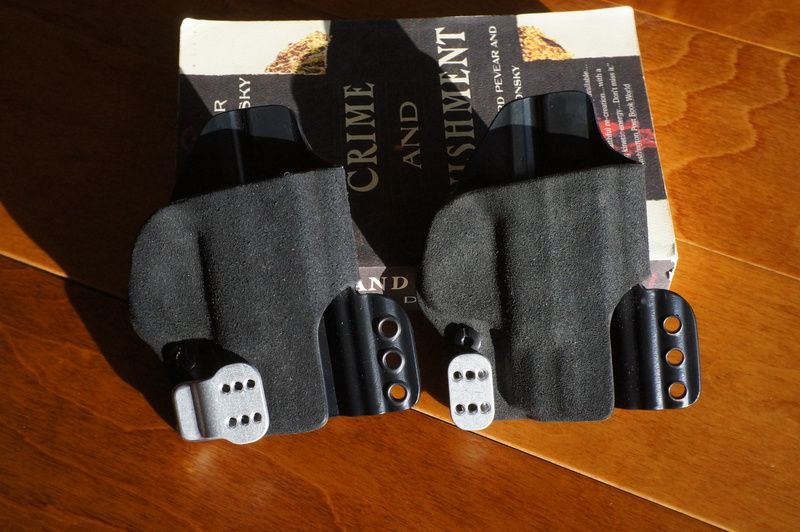 Gap on the left of the holster between the pants and the body. Perfect spot for a an extra mag. 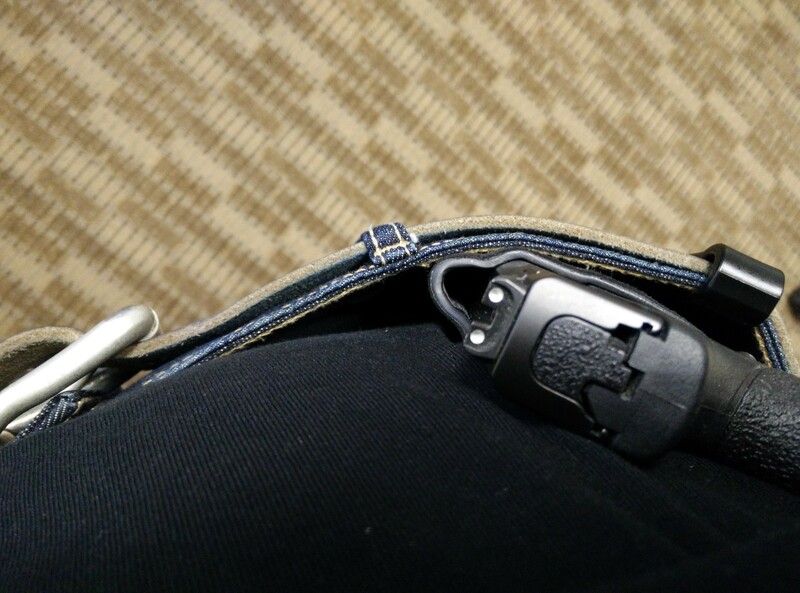 Since the mag caddy fits between a gap that already existed, it didn’t increase any discomfort on the waist band. However, the height of the magazine riding in the mag caddy is significantly higher than the end of the slide, which digs into your gut when sitting down (see top image). Solution: Move the caddy down one slot. However, another comfort problem occurred when moving the caddy down. The end of the mag caddy sticks out about half a centimeter and digs into my thigh. I figure since I really like the height of the magazine with the mag caddy in its 1-lower position. The end of the mag caddy just has to go. Out comes the dremel.